One of the things that makes Wordpress so amazing is the ability to use plugins and customize both the front end and back end of your website. In all my years (and multiple blogs) of self-hosted Wordpress, these are 10 of the most useful Wordpress plugins I've ever used. Self-hosted Wordpress is a powerful website and blog platform, and part of the power is the versatility and functionality of various plugins. I've created a list of 10 of the most useful Wordpress plugins, some for convenience, others for functionality, and still others for reader engagement. Click to read the full list and improve your self-hosted Wordpress site. Don't install plugins just to install plugins, or just because I think they're awesome. Make sure you need the functionality, and that the plugin itself has been updated recently, and plays nicely with your version of Wordpress. Got it? Ok. I don't want anybody coming to me after installing one of these plugins blaming me for crashing their site. It's up to you to do your due diligence. Now, let's get to it! Of course Yoast gets the #1 spot on this list, not that it's a Top 10 list in any particular order, but still. Yoast is THE best and most useful Wordpress plug-in, and if you have a self-hosted Wordpress site, you NEED the Yoast SEO plugin. Yoast pretty much cornered the market on SEO tools, and this handy plugin is super cool and super easy to use. Yoast SEO plugin is possibly the most important and useful plugin for self-hosted Wordpress sites, helping website owners establish authority through SEO, build XML sitemaps, and so much more. Yoast SEO plugin allows you to build XML sitemaps, which help your website get indexed in search engines a little faster, helps to control which images are shared when readers (or you) share your content on social media, and most importantly, Yoast SEO plugin helps you improve your SEO. On each post and page, Yoast SEO gives you a little toolbox in which you add your focus keyword. It then gives you a score and tips for how to improve the SEO of that particular post or page based on your focus keyword. You then have the ability to customize the snippet that will appear in search engines. NOTE: Remember that while Yoast SEO plugin is an awesome tool, it is only a tool. If you feel you've done all you can to optimize a post or page, and the plugin isn't giving you all green lights, publish it anyway. What is a "cache"? According to Google, it's "a collection of items of the same type stored in a hidden or inaccessible place". On a website, this cache is your database, and sometimes it's necessary to manually clear that cache, rather than letting your server do it at the end of each 24 hour period. That's where WP Super Cache comes in. It's an extremely lightweight plugin that, with one click, clears your site's cache, giving yourself & readers the most current and accurate view of your content. Why is this important? Well, if you make any cosmetic updates to your site, or you change out any missing or broken links, the old version may still show to some readers until the cache is cleared. Any time I make updates to my site, I clear my cache because I always want my readers to have the most accurate view of my content. I'm kind of shocked at how few bloggers use WP Editorial Calendar. I've been using it since Day 1 of being on self-hosted Wordpress and just assumed that everyone knew about it. WP Editorial calendar is a super lightweight plugin for self-hosted Wordpress that shows your posts in a drag-and-drop calendar format, instead of a running list. WP Editorial Calendar drops all of your posts into a calendar view, and you just drag and drop posts if you need to reschedule them. It's a lot easier to view than a running list of posts that then need to be sorted by draft, published, etc. After installing, simply hover over "posts" in your Wordpress dashboard sidebar and you'll see "calendar" as an option. When viewing the calendar, click the "screen options" in the top right corner to change display features. If you want your calendar to start on a particular day, go to Settings > General and change the day your week starts on. You know how sometimes you'll have horizontal images in your post, but you only want people to pin the vertical ones because they perform better on Pinterest? Or you have a before-and-after post and you don't want people pinning the ugly before shots, only the beautiful after shots? Yep. You can do that with Simply Pinterest. Simply Pinterest plugin for self-hosted Wordpress allows you to have more control over which images your readers pin, giving you a toggle button in the editor. When you add images to your post, click the pencil icon to edit, and from there, you can check a box to prevent that image from being pinned to Pinterest. Pretty cool, right?! There's more, though. After activating the plugin, go to Settings > Pinterest settings, and change the way your hover button appears, where it appears, and you can even add a snippet of text that you want to always have appear in the pin description. Want to improve your Pinterest strategy?CLICK HERE to get an inside look at two of the top Pinterest scheduling tools. I see a lot of newbie bloggers struggling with how to add those cute, colorful social media icons to their site. Simple Social Icons is how you do that. It's a very simple plugin that allows you to change the color of your icons, and choose which icons to show. Simple social icons is a self-hosted Wordpress plugin that allows you to create and customize your social media icons for your widget areas. This plugin will be ready to use in your Wordpress widget areas. Just drag the widget to your sidebar or any other widget area, set your colors, and add links to your social media channels. You're all set! If you've ever tried to clean up old URLs, or you've changed your website's name altogether, Simple 301 Redirect is a great plugin for you to use. You simply drop in the old URL and tell the plugin to which current URL to send traffic. No broken links. No "Sorry! This page no longer exists!" messages. Groovy baby. I actually talked about this one in one of my 5-Minute Fix videos. The Better Click to Tweet plugin syncs with your Twitter account and allows you to create calls-to-action right on a post or page, while adding the shortlink and your Twitter handle. When you click that Twitter message, it adds the shortlink to this post, and my Twitter handle. Easy peasy social sharing! I love Disqus (pronounced "discuss"). In addition to providing a more professional and interactive comment system, it creates digests for each user and digests of your website content. When someone scrolls down to leave a comment, they not only see other people's comments, they also see other content on my site that people have commented on, telling them it's worth checking out. The Disqus comment system provides an interactive comment system but also a digest of other content that has received comments, telling readers it's worth checking out. I get weekly emails, too, from Disqus, telling me other content that I might want to check out. It's pretty stinkin' cool, if you ask me, and immediately creates social proof. Ok these last two plugins will only work if you are using a child theme running on the Genesis Framework. When you create new pages on your site, by default, the page title appears just under your menu, or at the top of the page if you have a landing page template built in. Personally, I hate that. I like creating graphics for my page headings, or at the very least, centering the title of the page. Genesis Title Toggle lets you turn off page titles and create your own. That's it. That's all it does. But it's glorious! You know how some programs tell you to "place this line of code in the <head> tag", and you're sitting there going, "Um. Yea....sure thing. Where's the <head> tag??" Genesis Simple Hooks literally breaks down your site into sections, including the <head> tag, and you just drop the code wherever you need it. Done. tag, or anywhere else you need! That looks like a hot mess, right? But you see what it says at the top? "Executes immediately before the closing </head> tag." Why thank you, Genesis Simple Hooks, for making me not throw my computer through the window in frustration! So there you have it - 10 of the most useful Wordpress plugins. Do you have any to add to the list? Share in the comments below and let me know! 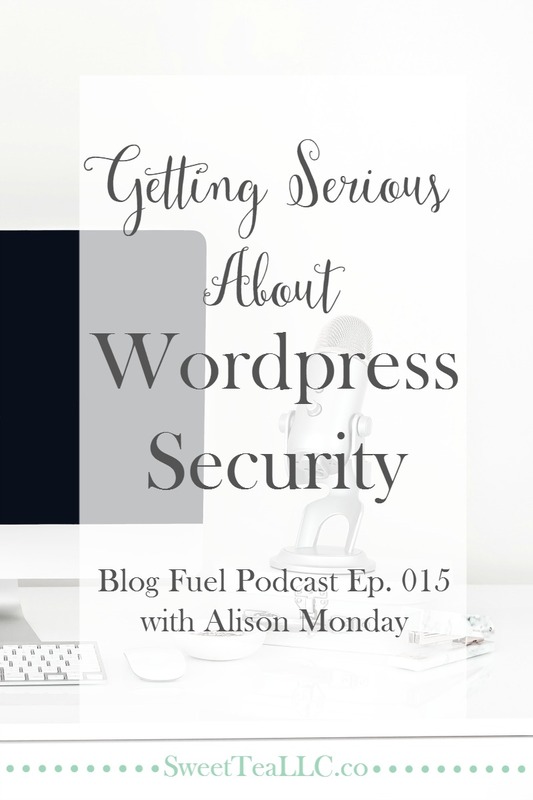 Wordpress security is not usually a hot topic of conversation, but it absolutely should be. Setting your site up to avoid risk is a huge part of setting yourself up for success. Alison Monday of Tiny Blue Orange shares practical tips to help every blogger stay safe in Ep. 015 of the Blog Fuel podcast. Starting a blog can be overwhelming because there is so much to learn! 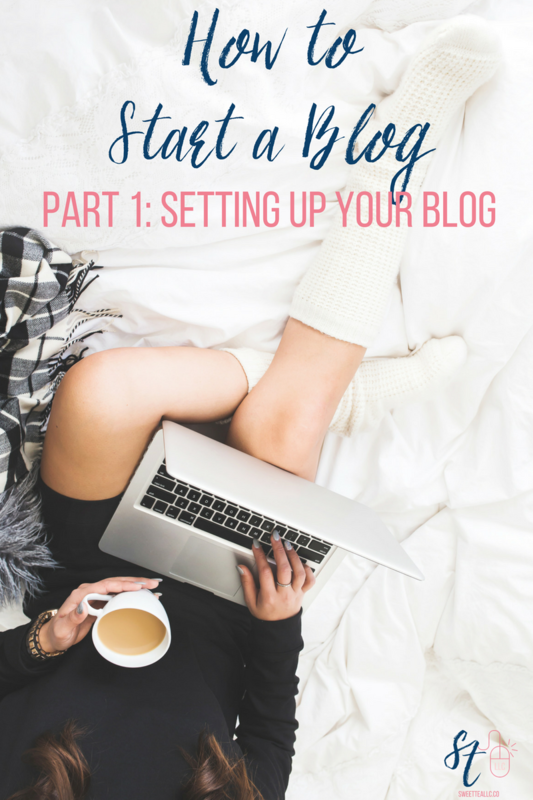 I'm breaking down the process showing you how to start a blog, including blog platforms, hosting, domains, blog photography, and simple SEO. Give yourself a Blogging Jumpstart!